Tahseen Ferdous Tumpa (Architecture, BUET 98 batch) is suffering from Breast Cancer since 2015. First, it was discovered in left Breast in August 2015, followed by chemotherapy, surgery, and radiotherapy given in Bangladesh. That time it was deemed that she was cured. She was under periodic observations. But unfortunately, it was found again in the lungs, liver, and bone (Metastasis condition) in October 2017. In that situation, chemotherapy treatment was given at NCCS, Singapore. After the treatment doctors find that, cancer is still there and chemo is not working for her. Now her next treatment option is "Immunotherapy". This treatment plan is very, very expensive. Every 21 days she has to take one therapy and each of them cost £10,000. 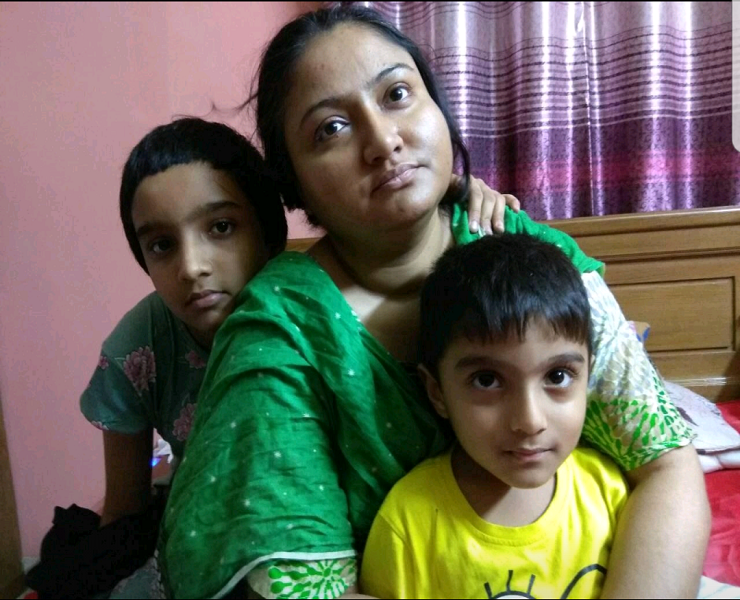 Up till now her husband Niaz Mohammad Roni(Electrical Engineer BUET 99 batch) currently working at DESCO and family manage her treatment cost but now we need your help. With the help of Dr. Zaker Ullah(Breast Cancer Specialist) who is Zafar bhai's brother along with Dr. Smith and Dr. John(both of them are specialist for Immunotherapy), all the papers processing is going on for Tahseen to go to England and start the treatment as soon as possible. Tahseen is a very brave young lady who is fighting for her life since 2015 for her 2 young kids (older one is 10 and younger one is 4 years old). By extending our helping hand, as we all always do for a greater cause, we can help a young mother to fight and stay longer in her kids' lives We need your generous support to save a life. If you work at Intel, you may almost double your contribution through Intel Matching fund. For further information about the matching fund through Intel Benevity, please contact Shaestagir Chowdhury, Mahmood Alam or Atiqur Chowdhury. Please open your heart with your generous support for saving a life.